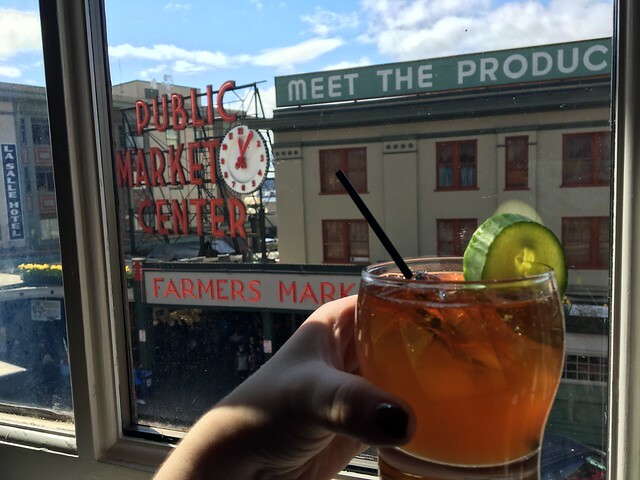 There are plenty of great views in Seattle - and a lunch spot overlooking Pike Place Market is certainly one of them. 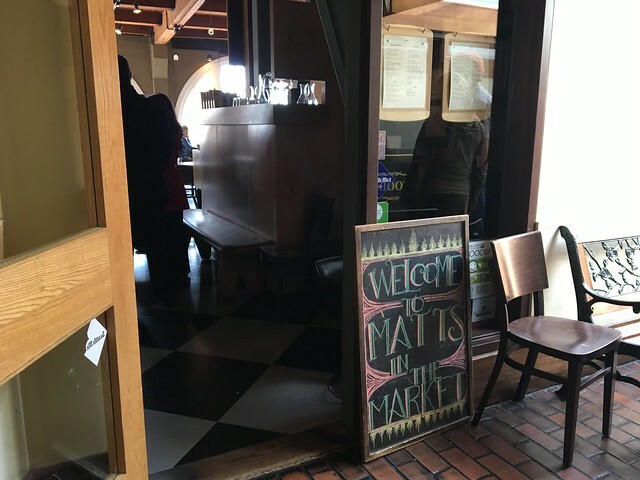 Matt's in the Market has a prime location - right across from the market sign. And, right across from the freshest produce you can imagine. 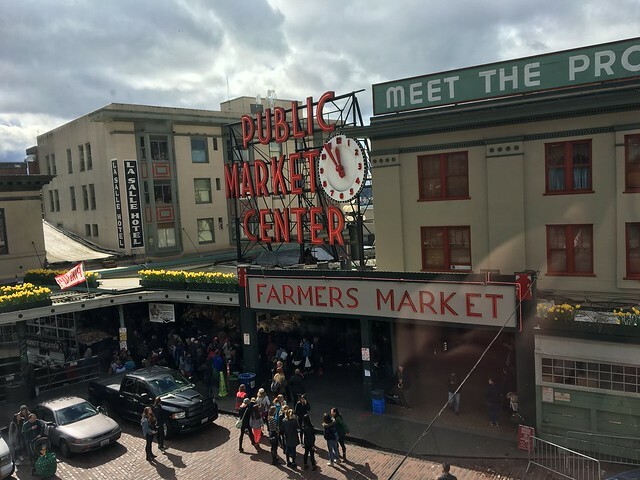 Being located in the Market is like having the best vegetable garden, the best fruit orchard, the best flower garden, and the best purveyors of fish, meat, cheese, and dairy at your door. Executive Chef Jason McClure creates menus based on the best ingredients the Market currently has to offer, selectively augmented by the choicest fare from around the Pacific Northwest and the world, with unswerving dedication to deliver unforgettable culinary pleasures every time. We came here for lunch right before our flight, and they accommodated our baggage, as well as a beautiful bunch of flowers Kristen was carrying around. 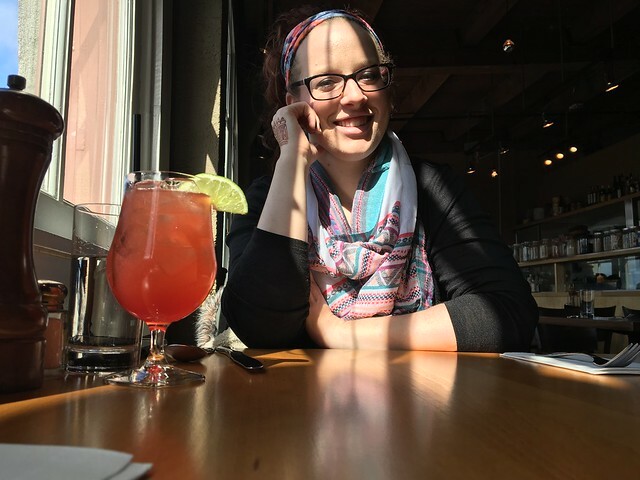 If you've ever been to Pike Place Market, you know those incredible bouquets? Kristen decided she needed one on our last day. Can't blame her. 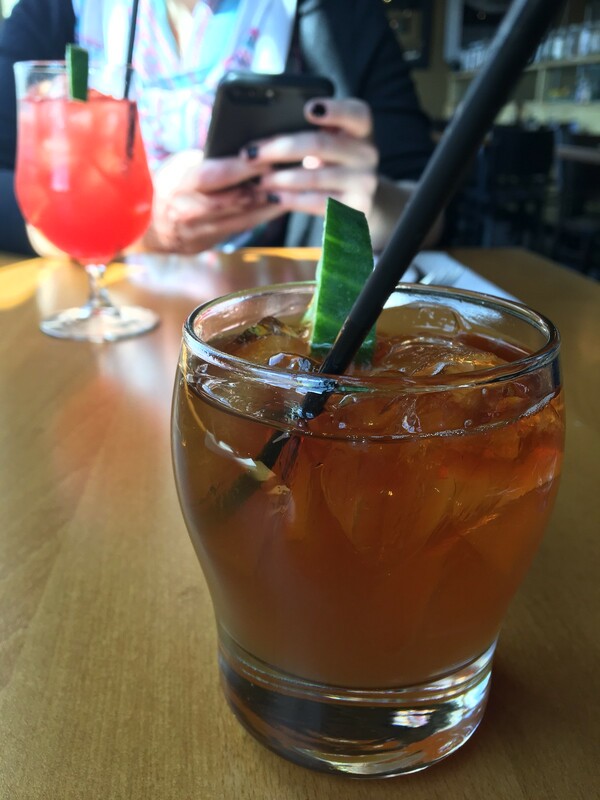 We started off with a drink - I went with the Pimm's Cup, which had Pimm's, ginger ale, and lemonade and it may be my new favorite drink in the world. Seriously. 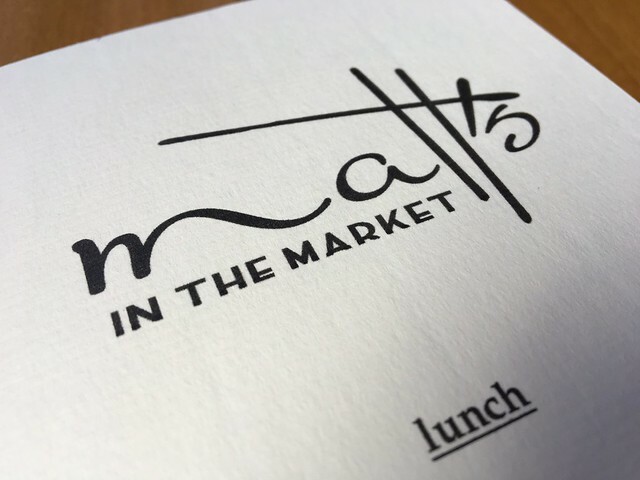 Although the restaurant seems to have been part of the market forever, Matt's in the Market was founded it in 1996. The tiny (then only 23 seats), primitively equipped restaurant attracted a fiercely loyal clientele, drawn by imaginative cuisine that changed constantly based on what was available from the stalls downstairs. 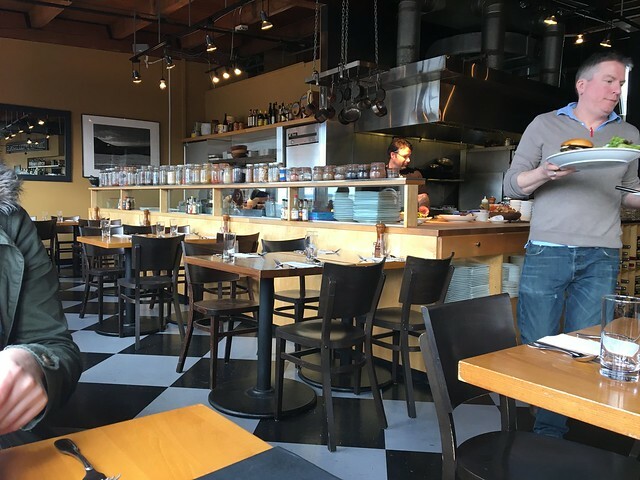 After eleven years as a fishmonger at Pike Place Fish Market, Dan Bugge realized a lifelong dream, and became the owner. 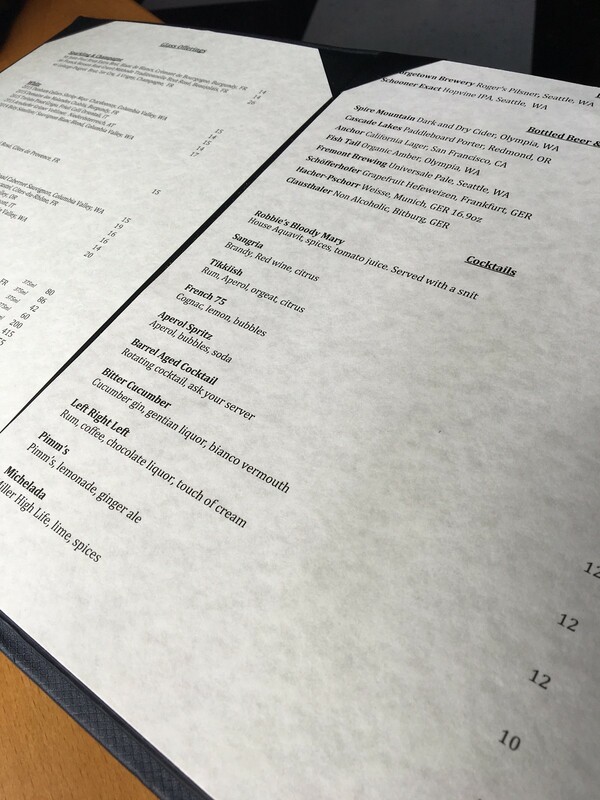 Dan and his staff have made major upgrades throughout the restaurant including a new kitchen, seamlessly expanding both in size and seating capacity, and adding a sparkling bar that is astonishingly well-stocked. With our unflagging passion to create a memorable culinary experience for every diner, our daily celebration of the Market as the prime source of both inspiration and ingredients, our lasting respect for the traditions of the Market is guaranteed to continue (ABOUT). 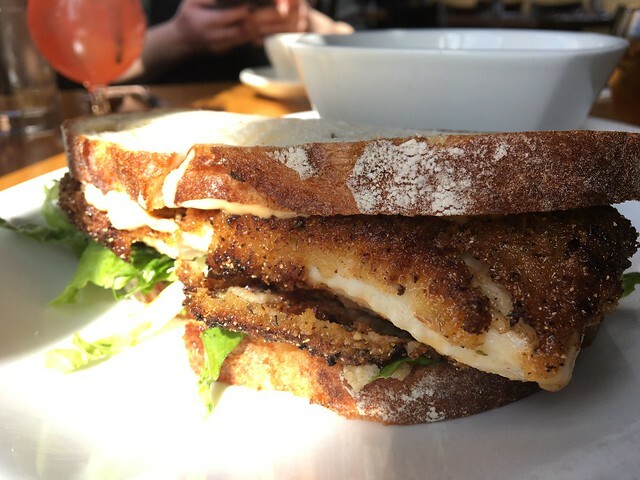 For my entree, I went with the pan-fried cornmeal crusted catfish, which was serve with sambal mayonnaise, shredded romaine on potato bread. This is supposed to be one of their specialties, but I simply wasn't blown away. If anything, it was a touch boring for me. 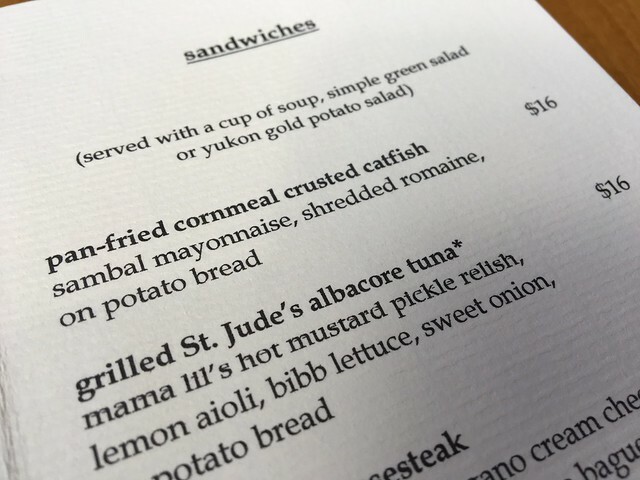 A spicier mayo or maybe some other veggies on the sandwich would have helped. 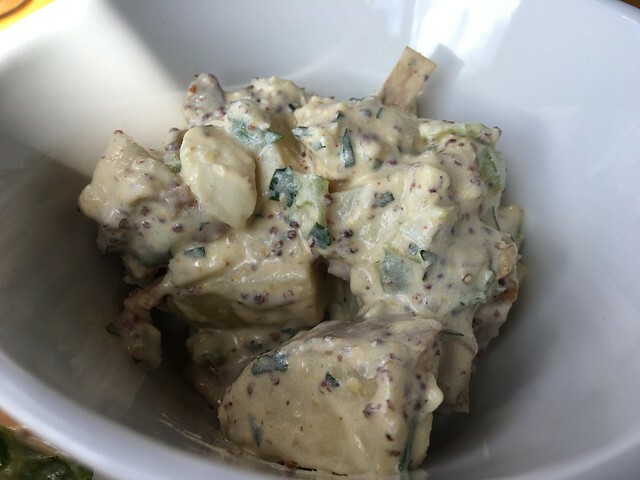 As it was, it was OK.
For my side, I got the yukon gold potato salad, which was fine. Even though the food didn't especially wow me, the drink was delicious, the view is incomparable and the service was fantastic. Maybe I just didn't choose the best, but I had a nice time regardless.